We came across some documents the other day of particular interest. The pieces in question were written by Ben Lansink, from Lansink Appraisals, and Michael McCann of McCann Appraisal, LLC. They express their observations, opinions and case study results, from their personal and business experience, regarding wind turbines and the various effects they have on the environment, people’s health, and property values. The parts of the documents most interesting to us were with regard to property values. 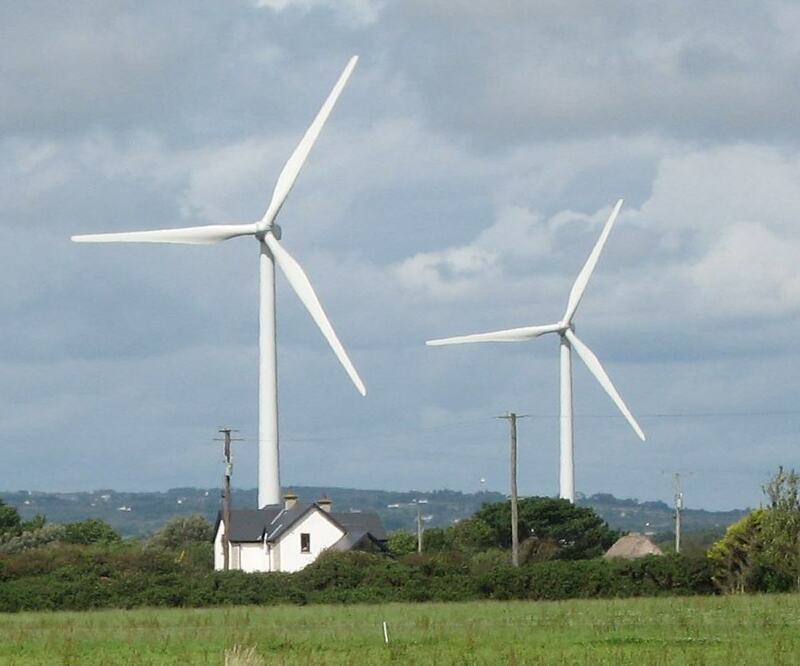 Not the fact that Wind Turbines negatively affected property values, as that is common sense, but that there should be “Property Value Guarantees (PVG’s) for personal properties” situated near these sorts of disamenities. “However, … Mr. Ben Hoen, [a wind farm appraiser/advocate] has now gone on record saying that Property Value Guarantees should be used for nearby homeowners, and that “if wind developers won’t guarantee that, then they really don’t have a leg to stand on”. A “Property Value Guarantee” is a very easy concept to understand. 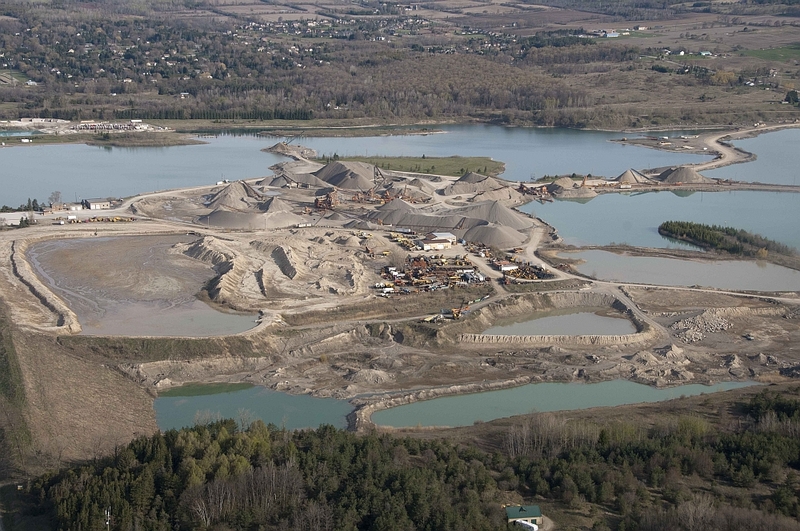 If disamenities, like wind farms, hydro corridors, railways, gravel pits, or quarries want to situate in your area, the operators must ensure your pre-disamenity property value – as established by an independent appraiser and relative to similar properties not in proximity to a disamenity – is achieved if you decide to sell. If, for example, your home was worth $500,000 prior to the announcement of a pit or quarry operation, and you then must sell your property for 30% less than comparable unaffected properties, the pit or quarry operator would compensate you, or purchase your property. There will thus be NO LOSERS when the pit or quarry opens, and the full cost of the operation will be accounted for. Most politicians and pit advocates claim there are NO negative property value impacts from these operations. They are, in effect, ‘gravel cost deniers’. If their assertions are true, it’s obvious there WOULD BE NO COST or RISK incurred by the operator by providing a PVG. So when they make the claim of no impacts, we say “Put Your Money Where Your Mouth Is”. If, on the other hand, there actually are losses imposed on neighbours and municipalities (in the form of reduced tax base and infrastructure costs), the operator should have to calculate that risk and cost into his business plan and provide a bond (or PVG) to compensate for such losses. If the potential revenue from the operation is not sufficient to cover all such costs, we would assume he would not open the pit; but that would be his financial decision to make. Property value compensation for properties around pits and quarries has been denied and ignored for too many years. It is a reality that everyone should be facing! To believe that property values will drop only if the fact is talked about is irrational! It has been demonstrated that values drop as soon as a pit or quarry application is announced. 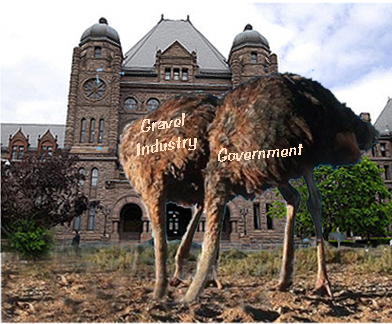 It’s high time that politicians and the Aggregate Industry get their heads out of the sand and stop acting as if they have never heard of the concept … and either Put Up or Shut Up.